Expected to last around ten episodes, ‘Wu-Tang: An American Saga’ is in the works by the network Hulu. Most of the members of the iconic band are set to take part in the production. Inspired by two books, ‘The Wu-Tang Manual’ and its sequel, ‘Tao of Wu’, ‘Wu-Tang: An American Saga’ has been ordered by Hulu. Set in the 1990s, the series will recount the evolution of the Wu-Tang Clan. It will relate how they got together thanks to an idea from Bobby Digs (aka RZA). 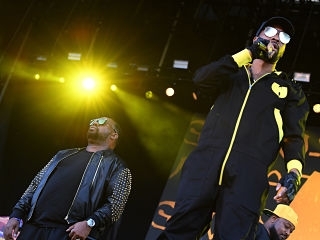 The Hulu series ‘Wu-Tang: An American Saga’ will be about one of the most influential hip-hop groups of all times. Indeed, during their career, Wu-Tang Clan has released four gold and platinum studio albums. Some of the band members include Raekwon, Ghostface Killah, Inspectah Deck, U-God and Masta Killa. The show ‘Wu-Tang: An American Saga’ will join an already existing array of scripted programmes on Hulu. The platform’s most popular content is ‘The Handmaid's Tale’, ‘The Looming Tower’, ‘The First’ and ‘Castle Rock’. Imagine, who has also worked on ‘Empire’ will be collaborating with the platform for the musical drama. Aside from ‘Wu-Tang: An American Saga’, several documentaries have been released about the popular hip-hop band. No official release date has been published about this programme as production has not yet started.